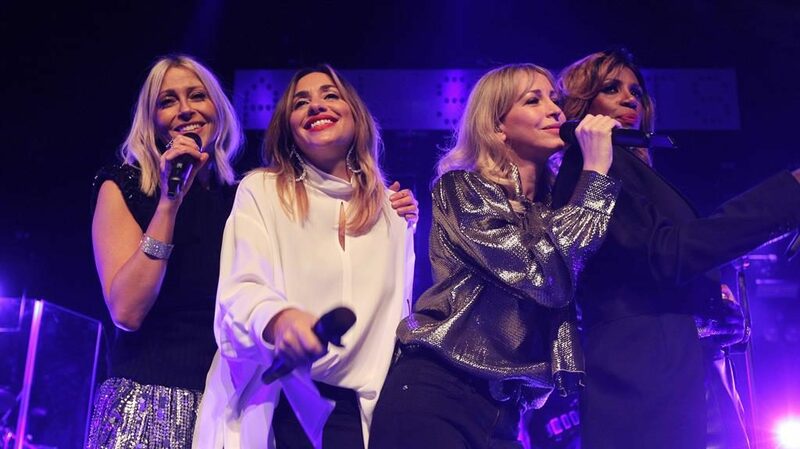 ALL Saints have played a handful of shows this year to mark their (very good) fifth album, Testament. Their intimate just-the-hits-ma’am performance for 400 people in September, at Brighton’s Komedia, was an absolute blast that confirmed whatever it is they once had, they’ve still got it, in spades. In Cambridge, to more than four times as many, they opened up only their second headlining tour this century and gave the new album the proper run-out that it merits. Their journalistic shorthand may be ‘Nineties girl band’ but in 2018 All Saints look like a group of women at the height — thus far — of their collective creative power. Two things conspired to prevent them sounding that way, too: a muddy, overly bassy mix (or maybe just duff acoustics) all too often obscuring that lovely, distinctive meld of clear voices; and a significant chunk of the audience yammering through some terrific new songs. Who Do You Love, After All and Love Lasts Forever in particular are the equals of anything in their back catalogue. The quartet aren’t slick performers and that’s just fine. They get just right what they need to, and vamp the rest. That they became hoarse and breathless between numbers, or had to sit down for rests on the risers, was all the more appealing. They weren’t exactly like a group of tipsy mates doing an All Saints routine on a night out but then they weren’t entirely unlike it, either. All Saints have aged gracefully — they seemed faintly surprised and quite delighted to still be doing this. They deserve it and they deserve better circumstances for their forthcoming shows to support the album, too.